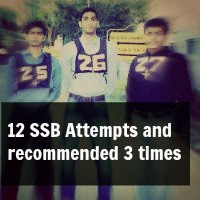 SSBCrack provides a common roof for all SSB aspirants. The sole purpose of this website is to help aspirants in their SSB interview preparation. This website is open for all aspirants, experts, coaching academies to share their views with others. SSBCrack is an open network for all aspirants, here we share different posts related to interviews, experiences of other students, interview dates, notifications, study material etc. If you liked our blog and wants to help us with a guest article, we welcome you. You can contact us and submit your precious knowledge to help the aspirants and blog followers. I wish to place on record my appreciation of the yeomen service rendered by the SSBCrack.com Editorial Team in shaping the youth to become the sentinels of our nation. I am an ardent reader of all the articles published by the SSBCrack and I have found that the team has been maintaining consistent quality of content and profound authentic knowledge, to groom the personality of the youth to become armed forced officers. 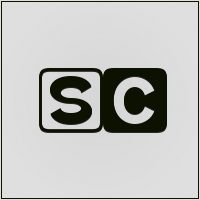 I wish the SSBCrack team, God Speed and greater viewership in the days to come. By: Col Rajeev Devgan, Group Testing Officer Allahabad, Bangalore & Bhopal, 09319302151. Ex Deputy President 19 SSSB and is available for guidance and counselling at 9316529717 rs_gadi@yahoo.com. I have been following SSBCrack.com for quite some time now. I have no doubt in my mind that the site is doing a yeomen service to aspirants of Services Selection Boards. The articles carried by the site have professional insight and are very useful for the candidates. The guidance given to the candidates is simple and practical. I wish SSBCrack.com all success in future. 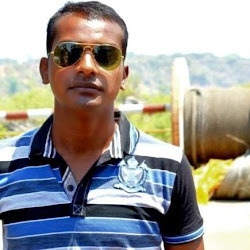 On the outset, I convey my congratulations for your untiring personal endevour taken in running a wonderful website for the entire benefit of the SSB aspirants. All the latest posts relating to various Defence entries/Interviews/Results are instantly updated and the day today all Defence career information is available in handy to the candidates, especially the Comments Section and ‘Ask here (Help Forum)’ which remain very useful to all. 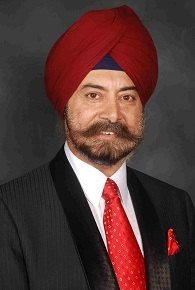 I strongly believe that the SSB candidates will certainly benefit for their success in the Defence career from the Archive Gallery and Popular Topics. I also see that many candidates go to sleep in a day only after visiting your website, which speaks & proves the popularity and the potentiality of its contents. Please keep it up and with best wishes. By: Inderpreet Singh, OTA Chennai. Hello sir I attached a word file of my experience of SSB ……..Thanks a lot sir all credit of my selection goes to this site .thxxxxxxxxxx a ton sir. Dear Admin, I should thank you to for all the efforts you are taking to guide army aspirants. Even I was benefited by your website. It is a great and noble work. I would always be available for any help. Soon I leave for training at the prestigious NDA, BUT before I leave I would like to thank SSBCrack coz it has helped me a lot to reach where i am .Thanks for all the necessary guidance and much required info. Its just not the story of me but many like me. Thank You for giving me the chance to convey my thoughts to all your followers on the web. My dream has finally come true. You are doing a great job motivating the youth. Cheers to You guys.Keep it up. I will say one website that has everything related to ssb right from the screening process upto the medical process. The stories, WAT, SRT provided on the website are almost exactly to that found in SSB. The experience of successful candidates plays a major role in motivation. Also, any query one have is solved with the blink of eye. Thanx to the ssbcrack because i will say my selection is just because of what i could get from here. I’ve been recommended for NDA-130, Air Force Wing, from 17SSB bangalore..
A heartiest thanks to you for all your help..
U are doing a great job, keep it up. SSBCrack is one of the rarest blogs which provides an insight of the SSB procedure, and it also provides first hand experience of recommended as well as non recommended candidates. This experience sharing help many aspirants to understand their mistakes and perform better in their next attempts. This type of platform provides a base for healthy discussion and knowledge sharing. I also read many blogs of the admin and the candidates, which helped me in making my own strategies and rectifying my mistakes. I got recommended twice after 8 unsuccessful attempts by analyzing the experiences and devising my own way outs, which i also shared through this blog. I really appreciate this type of work as we all are brothers and sisters and we all want to be a part of this esteemed organisation. Thanks a lot. By: This Could Be You !! If this website helped you in any way, do write your feedback, we need it badly.